Now we move onto the latter half of the first season of Sailor Moon and onto the youma serving under Zoisite. What’s interesting about this is that though we were generally granted our usual “one monster of the day” to meet the quota, for the most part these youma didn’t actually serve under Zoisite, but rather belonged to the Seven Great Youma, which had existed since the time of the Silver Millennium and were simply uncovered by Zoisite or the Sailor Team. Also rarely noted is that Queen Beryl herself also has youma which report directly to her, though to be honest, the structure of the Dark Kingdom is a bit hard to follow in the first place. Anyway, as we did in Part 1, let’s take a look at how the youma of the Dark Kingdom got their names! Yasha: This is the Japanese word for Yaksha,1 a natural spirit appearing in Hindu, Jain, and Buddhist texts. The meaning behind the face mask and the monster form is in reference to the female and male yakshas, which were portrayed respectively as beautiful with round faces and attractive figures, or as fearsome warriors. You may recognize this name as being similar to the character Inuyasha, from the series with the same name. This is the same yasha being referenced. Housenka when written as 鳳仙花 (housenka) means a garden balsam, but the first part of her name can also be written as 砲戦 (housen), which is an artillery barrage. This is likely in reference to the fireballs she shoots. Akan: This is a mix of the Japanese word あかん (akan) meaning bad, wrong, or something you shouldn’t be doing.2 Also, あか (aka) can also mean red, which explains the color. As an interesting bit of trivia, this is the only time which any of the Four Kings other than Kunzite turns a normal human into a youma. Read also: Why Does Usagi Say Her Stomach is Trumpeting? Gesen: A direct reference to the Japanese word for arcade — ゲームセンター (game center), often abbreviated as ゲーセン (gesen). Boxy: A Japanese pun which plays on both “boxer,” and the Japanese word for priest, 牧師 (bokushi). Bunbo: Seeing as this youma was reincarnated as Ryo Urawa, one of the few characters to nearly match Ami in intelligence, and he’s themed after stationary supplies, his name — based on the Japanese word 文房具 (bunbougu; stationary supplies) — makes sense! Binah: This is likely in reference to Binah,3 one of the ten Sephirah,4 which are considered to be the revelations of the Creator’s Will. Rikoukeidar: The name is a play on the Japanese term 理工系 (rikoukei) for a person who is considered more logical (rather than artistic) or what we’d consider a science type. Makes sense considering the type of school Reika went to! 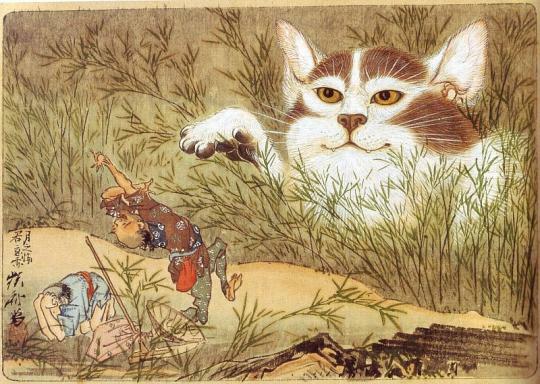 Bakene: A play off of 化け猫 (bakeneko),6 one of the youkai, or ghosts/spirits, of Japanese legends. Mitsuami: A direct reference to the Japanese word 三つ編み (mitsuami) meaning hair braided from three strands. Shakoukai: A double pun playing on the term 社交界 (shakoukai) meaning social circle and 貝 (kai) meaning shellfish. Blizzar: With all the hard work they put into names, I’m kinda disappointed that they went with a simple reference to blizzards here. I guess to Japanese speakers the reference isn’t so obvious, though? Zoyrin Geller / Doyrin Geller: The Japanese pronunciation of this name isn’t even known among Japanese fans, much less among the Western audiences. One possible explanation is that the name is in reference to Solingen (pronounced with a Z in German and in Japanese), which is known as the City of Blades,7 which may be in reference to the ice skates. As a bit of trivia, Janelyn (the female member of the pair) is a reference to Janet Lynn,8 an Olympic American figure skater. Papillon: From the French word for butterfly. Oniwabandana: A reference to the 御庭番 (oniwaban),9 secret agents serving under the Tokugawa government as spies and security guards. The second half of the name is also a play on bandana. One interesting thing about Thetis is that she’s one of the few youma who actually shows much personality and even interacts within the Dark Kingdom. She also was one of the strongest to appear until the Seven Great Youma. DD Girls: Unfortunately, none of the individual team members have their own name, but rather are just known by their color. However, the group’s name is a reference to the Japanese all-girl pop group C.C. Girls,11 and mixed in with the reference to the D-Point, where the final battle took place. And there you have it, an in-depth look into the names of all of the youma as they appeared in the first season of Sailor Moon! I gotta admit it was a bit exhausting, but I’m happy to see that the producers of this series went so far out of their way to put so many hidden meanings in these one-shot enemies. Who’d have known! I find it interesting that the C.C girls debuted under the name of D.D. GAPS but later changed their name. I believe they were still going by D.D GAPS when season 1 was airing. Interesting note on the D.D. GAPS reference! It looks like the last time they used that name was back in 1991, and from 1992 they started using the C.C. Girls name (reference). 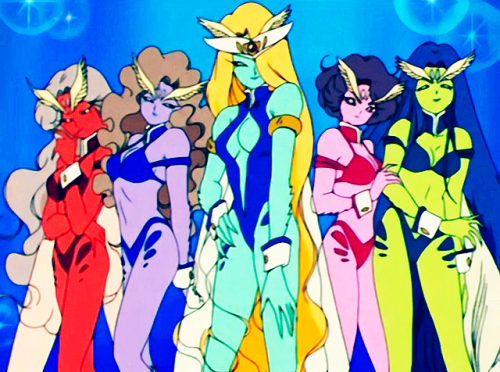 The DD Girls appeared in Sailor Moon in February 1993, so at that point in their career they had 1 year as D.D. GAPS and 1 year as C.C. GIRLS. I wonder if the person who named the DD Girls had any idea about the connotation that a “double D” has in English, especially when paired with characters who are scantily clad women. Probably not. Kind of a strange and unfortunate coincidence… anime often names things with an indirect reference by giving something the same name but with a letter or two changed… what are the odds the end result would be something that has a connotation in English? But anyway, it’s not like it’s anything terribly obscene… just a weird sounding name. Interesting on the “double-D” pun and whether or not it was intentional. My guess is “no,” since – to my admittedly limited knowledge – Japanese (and possibly European??) bra sizes don’t work that way, so it’d be not only an English-only pun, but a North America-only pun at that. It definitely sounds really bad now, though, especially when you look at the designs! Akan attacks by using Marimo, which is a kind of native plants in Akan Lake in Japan. I think that Akan comes from that lake. I would suggest that perhaps the “Misha” of the skating pair may be referring to John Misha Petkevich who also placed hightly during the 1972 Winter Olympics in Japan – the same competition that Janet Lynn earned bronze. I do find it funny that the staff decided to pair two skaters that only compete as individuals. Maybe that’s why they fought so much XD. The whole “Zoyrin Geller” thing is quite a mystery, isn’t it! Did they only refer to themselves by this name orally in the anime when they appeared then? ?